The fifth graders at Whitinsville Christian School were puzzled by Matthew 3. Why did Jesus say he needed to be baptized? Isn’t baptism about repentance? Isn’t it only for sinners? Sitting in pairs, students discussed their ideas one-on-one before being called into group conversation. Whitinsville Christian is a CSI member school located about an hour west of Boston, Massachusetts. 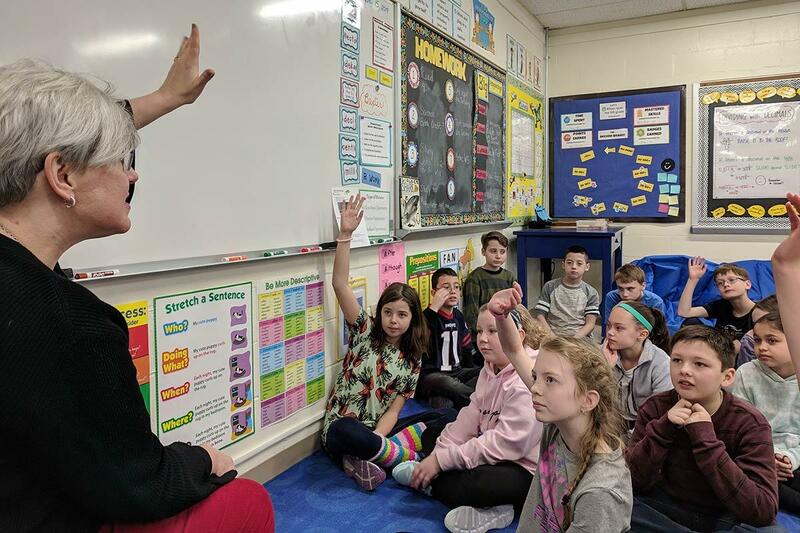 Students at Whitinsville Christian come from a variety of church backgrounds, with differing amounts of Bible knowledge. First, maintain good eye contact with the student who is speaking, with affirming facial expressions. Beth’s class uses hand signals to show who is ready to participate. When a student has the same thought, make a “me too” gesture (thumb pointed to yourself and pinky finger pointed at the speaker). For comments that build on what someone else has said, have students use two fists in a “building motion” to communicate that they can add on to what has been said. When a student asks a question, encourage classmates to share their ideas and thoughts instead of responding first. This practice sends the message to kids that we all love to think about the Bible, and sometimes students share insights that are expressed in a way that their peers more easily understand. While some ideas may miss the point, understanding where students are coming from is an opportunity to help shape a greater biblical understanding. A lesson can be driven from the very beginning with one provocative “essential question,” or other times too many fact-only questions appear in the lesson, which can become disengaging for students. Try to use these questions less frequently than deeper thinking questions. Prepare questions in advance, but also incorporate some that arise during discussion. For example, questions about where students see connections between two Bible stories require more processing and promote greater discussion. 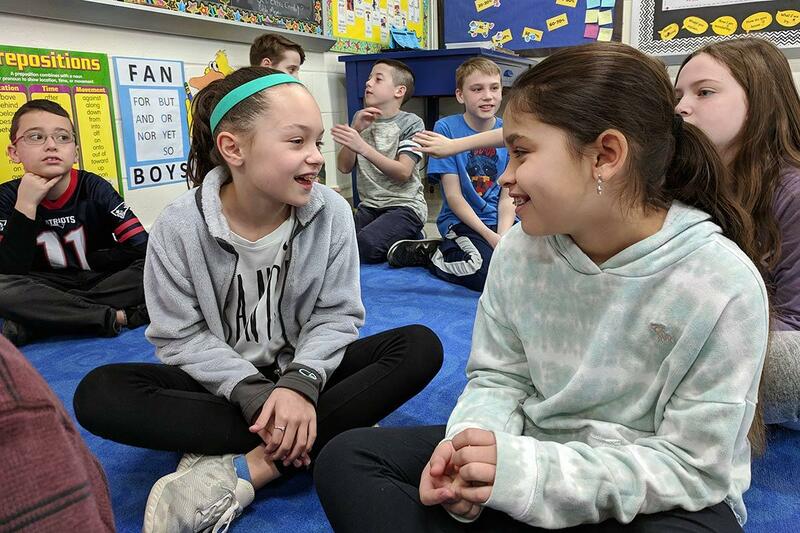 After asking a question, invite students to “turn and talk” with a partner before discussing with the entire class. Or for a quiet version, provide time to write a response. Either way gives students a chance to think through their reply so everyone can have something to share. Research shows that wait time is one of the best, simple tips for improving responses (Rowe 1986). Listen and circulate while the pairs discuss to help them stay on task, but also to hear a preview of what they plan to share. You will better know how to navigate the discussion (and side-step rabbit trails!). Express to students that your goal is to hear from everyone in the class. You may even offer positive “participation” credit. For students who need more encouragement to speak up, consider calling on students or drawing names at random. You may have overheard a comment from Pair & Share that you can ask them to share. If a student isn’t ready, “pass” or “I don’t know yet” are valid responses. While the goal is participation, it’s also important that students not feel shamed for not having a response. When discussion lags, give an additional truth from the Bible and ask students how that truth helps them think about the issue. Offering a short prompt can also help keep students engaged, such as “Tell me more about it” or “Where else do you see this?” If the class is still silent, direct students to “turn and talk.” Beth explained that students tend to be less reticent when sharing with one peer than taking a risk before the whole group. Ask students to write, draw, or create, and then share with the class. Beth provided an example of one student writing a song, while others created drawings or “comic strip” stories. Students love to show what they’ve created and explain it to their peers. If a student is reluctant to share, ask if they will allow you to show their work. 8. Unfinished Discussions Are OK! Sometimes students—especially ones in older grades—will face difficult questions, such as “Why did God let sin happen?” If your discussion does not get to the root of the question, acknowledge that understanding God and the Bible can be hard! Try modeling that you, as their teacher, are learning and growing too, and consider sharing some of your prior misconceptions. Inspire them to keep thinking about the question and looking for answers in God’s Word. So, how did Beth’s fifth graders do with discussing Matthew 3? As teachers, we know that collaboration is key! Bible Specialist Heidi Dean would love to hear from you on best practices for Bible instruction or provide support with any challenges you’re facing in the classroom. Reach her at gro.enilnoisc@naedh. 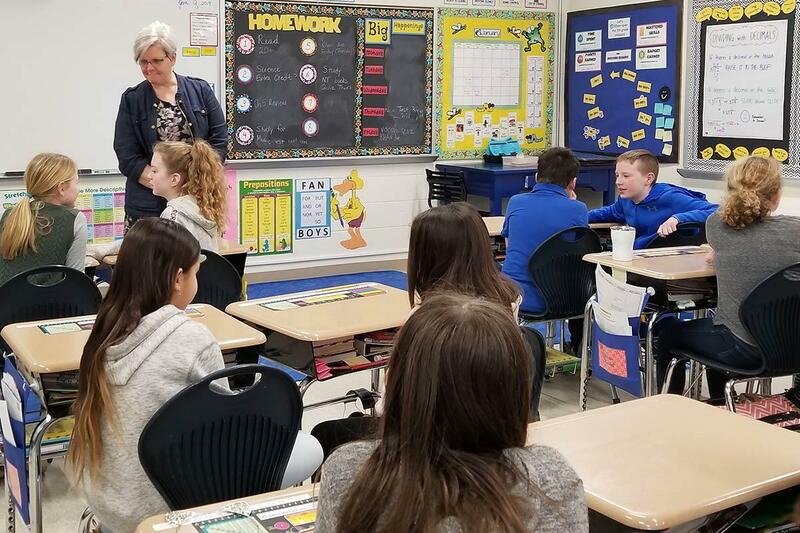 Beth Banning, fifth grade teacher at Whitinsville Christian School, facilitates discussion in her Bible classroom.